Friends, tonight is Keanu Reeves's 47th birthday. 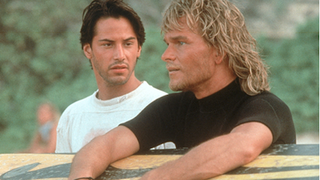 To help you celebrate, here is a picture of him with Patrick Swayze in Point Break. Hope this gets your Labor Day weekend off to a good start. Also, just so you know, Keanu Reeves is Charlemagne.